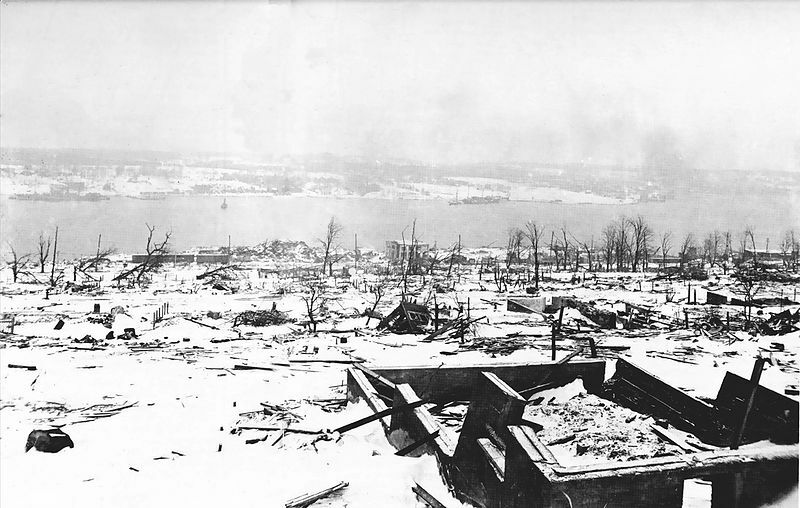 On December 6, 1917, Halifax, Nova Scotia experienced the largest man-made explosion the world had ever seen when the Mont Blanc, filled with explosives, collided with another ship. “The Halifax Explosion” webquest (http://connect.umpi.maine.edu/~terry.chalou/Webquests/10-11/The%20Halifax%20Explsoion/t-index.htm )provides links to the CBC site ( http://www.cbc.ca/halifaxexplosion/ ) containing many primary resources. Students can read about a fireman who was blown from his vehicle, caught in a tidal wave, and survived both to live another 54 years. In addition to the CBC resources, YouTube has several good videos about this event. My favorite is an interview with Peggy Gregoire who was a young student at the time. After exploring these resources, the webquest task is to assume the persona of a person affected by the explosion and to write a letter about the day. To help students use the correct tone for their letters, there’s a link to war letters written in 1917. If your students want to make their letters look old, there are links to sites with directions for aging paper. I used this webquest with a mixed grade level grouping of middle level students. Many of them told me that this was one of their favorite writing activities for the year because of the interesting resources. This entry was posted in Curriculum and Instruction, Engaged learning, General, Good teaching, Project learning, Webquests and tagged Carol Duffy, Halifax Explosion. Bookmark the permalink. Blizzard of Glass is one of our Young Hoosier books this year. Thanks Susie, Looks like a great resource!